Population growth, mass consumption, rubbish heaps, resource scarcity – the solution to all of these problems is the circular economy. Cyclical material flows without waste are today more than just a model from the textbooks. C2C is a part of our future and is now starting to become a living reality. Take F-abric, for example. 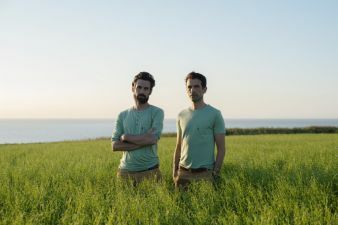 Markus and Daniel Freitag were tinkering on this idea for five years, but finally they succeeded: F-abric, a capsule collection consisting of shirts, tops, chinos and dresses, which are “grown and produced in Europe” and are 100 percent bio-degradable. (Capsule means produced once and in very limited quantities). In order to make F-abric a reality, the two brothers and founders of the Freitag company – better known for its bags made from HGV tarpaulins – not only assembled their own team of experts, but also set off to find the right raw materials themselves. Across the Alps and into Normandy – where they now source their hemp and flax. Last autumn, the first products were launched. A few days ago, the latest blouses and shirts arrived in shops. From tree, to bag, to tree. The makers of Rewrap – with their compostable bags made of coconut fibres, natural rubber, walnut tree wood and beeswax – can tell a similar story. Mud Jeans does it slightly differently. The Dutch enterprise requests that its customers return their used jeans to the company in exchange for a discount on a new pair of jeans. Bert van Son and his team then either repair the jeans or reprocess the cotton from the old jeans into new jeans, sweaters or cardigans. This is also a type of closed circuit, but only a technical and not a biological one. Freitag, Rewrap and Mud Jeans – these are all part of a new understanding of economics – the circular economy. Inspired and fascinated by an American architect and a German chemist: William McDonough and Michael Braungart. It was 13 years ago that they first published their book “Cradle to Cradle”. Their concept of a circular economy without waste captured many people&#146;s imaginations, although many also questioned how it could be implemented on a large scale in reality. “Sew, consume, and throw away – this linear way of thinking does not belong in an intelligent society,” said Dagmar Parusel, Senior Scientist for Textiles Industry and Agriculture at the EPEA Research and Consultation Institute in Hamburg, founded by Cradle-to-Cradle co-originator Dr. Michael Braungart. However, this is how linear mass-production industries have functioned so far. Although a lot is happening right now in the field of circular economics, it is still difficult to encourage large companies to change their thought processes. Parusel added: “Compared to other industries, implementing circular thinking into the textiles production chain is a particular challenge. We are dealing with huge differences in processing quality from textile to textile. And, as always, the component ingredients of many brands are a black box – this means that many of the dyes and additives used are undefined, if not problematic.” Additionally, there is the challenge of having to render both transparent and feasible a highly complex supply chain without borders, reaching as far as Pakistan or even China. “Small, ambitious companies can manage it. However, the question is how C2C can be successfully implemented on a large scale. We are now working on this as part of a feasibility study with a well-known textiles company,” said Parusel. The list of C2C-certified companies is growing slowly but constantly. 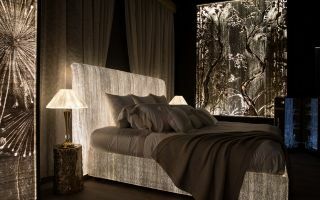 Among others, the partners include the Dutch bedding manufacturer Auping, which has Silver certification for its mattresses. By 2020, Auping is aiming to become a fully certified C2C company. The same is true of carpet manufacturer Desso, which has been a pioneer in its industry for many years. Just a few weeks ago, Desso was nominated for the 2015 Green Business Leaders Award in London – not only for their constant dedication, but also due to a particularly innovative project in cooperation with Dutch water supply companies. In this regard, Desso was successful in no longer needing to purchase additional calcium carbonate (lime) for its carpet tiles, using instead upcycled calcium carbonate from the processing of drinking water. In this way, 20 million kilograms of additionally purchased calcium carbonate have been replaced with upcycled calcium carbonate. 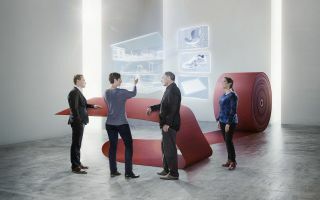 “This project shows how strong the power of innovation is in cooperation between different industries, thus paving the way for more sustainable supply chains and products,” said Roland Jonkhoff, Managing Director of Desso. Throughout every industry, C2C is a topic with great appeal. This was recently acknowledged by Swiss materials manufacturer Gessner. Under the Climatex brand, the company is marketing a C2C materials collection for furniture and automobile upholstery. 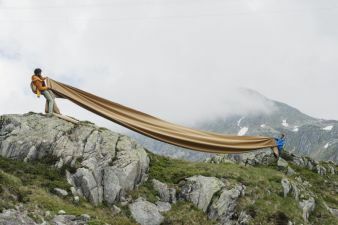 A few weeks ago, the Swiss company presented its new products at the Techtextil specialist trade show in Frankfurt. “We were surprised by the high demand for our Climatex materials at the Techtextil show. Interest has rapidly increased, and not just in our core markets – the furniture and automobile industries – but enquiries are now also coming in from the fashion industry, the transport sector, as well as from footwear and sportswear manufacturers. 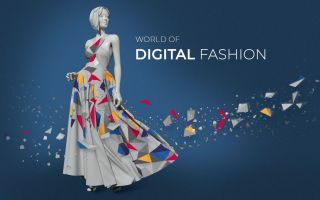 It is currently of the utmost importance for us to develop our climatising and regenerative textiles for these sectors as well,” said Andreas Heydasch, Managing Partner at Gessner AG in Switzerland. However, not all concepts are so successful. Back in 2013, sportswear producer Puma brought their so-called C2C InCycle Collection to market, which includes trainers, sportswear, and accessories. Despite a high level of interest from the media, Puma is yet to make its market breakthrough. “We developed the InCycle Collection for a duration of four seasons. Unfortunately, retailers didn&#146;t order the Collection. We therefore offered the InCycle Collection exclusively in our own Puma stores, but demand was very weak there as well. For this reason, we haven&#146;t developed the Collection further for 2015, but have an appropriate range of products available for corresponding demand. We&#146;ll now be considering what to do with the Collection following 2015,” said the company, based in Herzogenaurach. Its chemical process can already be declared a small revolution: according to their own data, Worn Again has developed the first process for extracting polyester and cotton fibres from old textiles. Separating mixed fibres from each other is one of the biggest challenges in the reprocessing of textiles. Using this method of fibre separation, the recovered polyester and the cotton cellulose can be reprocessed into new textiles. This method is still in the testing phase. During the next phase, it should be made ready to bring to market.